Summary: Fueled by social media, a wave of civic activism around the world is seeking to change societies. How do these new movements differ from the marches and protests of the past? What does civic activism mean? It refers to citizens organizing to achieve political, social, or economic aims. Activism involves people pushing for changes in public policy outside the realm of party politics and formal representative institutions. How has the term’s meaning changed over time? For many years, most civic activism was organized through nongovernmental organizations (NGOs). These civic organizations generally are formally registered and have fairly solid institutional structures. But today, a lot of civic activism takes place outside the NGO sector. This emerging activism comes in different forms from mass protests to community-led self-help initiatives. What distinguishes the new kind of civic activism from the old kind? The emerging wave of activism is eclectic. Some of these activists are much more unrestrained in how they confront government power than traditional NGOs tend to be. 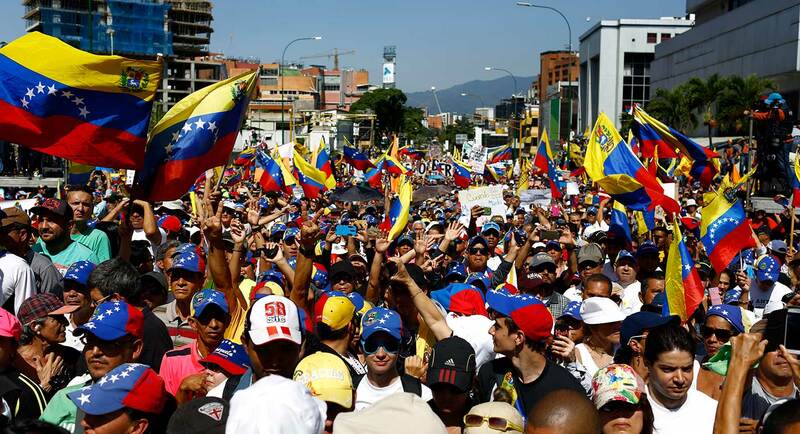 The recent mass demonstrations in Venezuela, in which tens of thousands of people have taken to the streets to unseat President Nicolás Maduro, are one example. Some of this activism is more pragmatic, seeking practical solutions to specific problems as an alternative to engaging in high politics. For instance, Russian activists increasingly focus on community development and environmental problems. Emerging forms of activism are quite ideologically diverse. They include elements from the anticapitalist left and the nationalist right, as well as many people without ideological allegiances. The standard observation is that these new activists operate very fluidly and informally. My book finds that this is broadly true, but some forms of activism are becoming more structured and formalized. In some cases, new activists are starting to coordinate better with formal NGOs or even jumping into politics themselves. What effect has social media had on civic activism? Social media has been enormously important for galvanizing mass protests and other forms of activism and making them easier to organize. Recently, however, people’s focus has shifted to the downsides of social media. In response, activists are starting to use the digital sphere more discerningly and selectively by combining online and offline activism. Does the civic activism emerging in various countries reflect fundamental differences or similar patterns? It is striking that these new forms of activism have been surging in all parts of the world—in rich and developing countries as well as democracies and autocracies alike. This activism represents a deep change in the way citizens view political power and interact with the state, a change that seems to cut across different cultures and regime types. At the same time, civic activism is increasingly organized around national causes, rather than global agendas. While issues of global justice still bring people to the streets, there has been some shift away from these kinds of protests toward locally focused activism. Does civic activism actually work? What are its limitations? Many critics feel that today’s protesters are unruly, disruptive, and ultimately ineffective and bereft of constructive ideas. Others believe their efforts represent a fundamentally different form of politics, which will replace the failures of traditional politics. The truth is somewhere in between. Some protesters have certainly failed to get governments to change course—look at places like Belarus, Hong Kong, Russia, Turkey, Uganda, and Venezuela, where regimes clamped down harder after crowds mobilized. In other countries, activists have been powerful enough to push governments out of power. Recent examples include Armenia, Brazil, Ethiopia, Gambia, Guatemala, Peru, South Korea, Tunisia, and Ukraine. But most protests achieve mixed results. They may win some success yet fail to secure everything they set out to achieve. And while many governments have become more repressive, they have also become more willing to yield on what they see as relatively minor issues to prevent protests from escalating. In countries like Jordan, Morocco, Nigeria, and South Africa, for instance, governments have conceded on issues like education, taxes, or energy but refused to budge on demands for deeper political reforms. Richard Youngs’s new book, Civic Activism Unleashed: New Hope or False Dawn for Democracy? (Oxford University Press, 2019), examines in detail why some protests succeed and others fail. The Carnegie Endowment’s Democracy, Conflict, and Governance Program thanks the Charles Stewart Mott Foundation, the Ford Foundation, the UK Department for International Development, and the Australian Government Department of Foreign Affairs and Trade for research support that makes possible the work of the Civic Research Network. The views expressed in this Q&A are the responsibility of the author alone.